Farm Animal Dental Care: Do Cows Go to the Dentist? Take a peek into the world of farm animal dental care with us! Healthy smiles are as important to us as they are to our animal friends. Take a peek into the world of farm animal dental care with us! 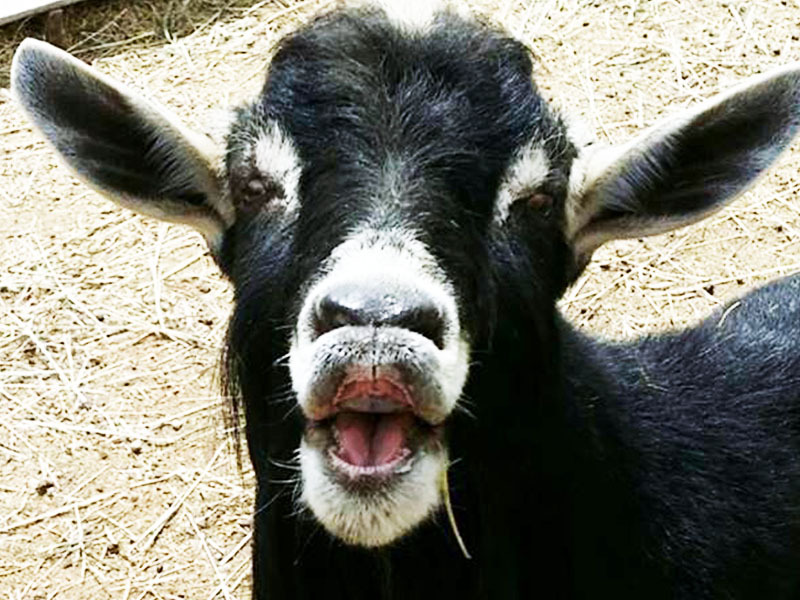 We asked an animal sanctuary rescuer about her experience with farm dental care. Andrea, the rescuer, sees extreme situations when animals aren’t properly cared for. Andrea discusses cow dental care later on and opens with a story of two sheep rescued from a hoarding situation. The mother sheep rescued was malnourished and the baby would continuously cry even when at its mother’s side. Animals are generally very content when their mom is around. This was a sign that something was wrong. Andrea investigated and found that there was nothing wrong with the baby’s mouth. But, then she looked into the mother’s mouth. It’s difficult to thoroughly inspect a sheep at a glance because of their wool. Upon studying the mama sheep’s mouth, Andrea saw that she had one single tooth left! The one tooth wasn’t enough for the mama sheep to chew up her grasses for proper digestion. This resulted in a negative chain of events. Mama sheep wasn’t absorbing the nutrients from her food. Because of her malnutrition, she couldn’t produce milk. Baby sheep would try day after day to nurse from the mama and nothing would come out. That’s why he was crying! Andrea understands the importance of animal mouth wellness and recognized what was happening. She began to feed a mash to the mama sheep that she prepared for other older animals who also have trouble chewing. The soft alfalfa, grasses, and other goodies are pelleted into soft, small bites. The pellets let animals like mama sheep break down their food more easily to get the nutrients they need. Within 24 hours of having mama sheep eating the new feed, she was producing milk and feeding the baby sheep! Sheep, cows, goats, alpacas, and llamas have specially structured mouths that allow them to get nutrients. These animals are called ruminants. Ruminants are fascinating mammals because they get all the nutrients they need from their plant-based diet. 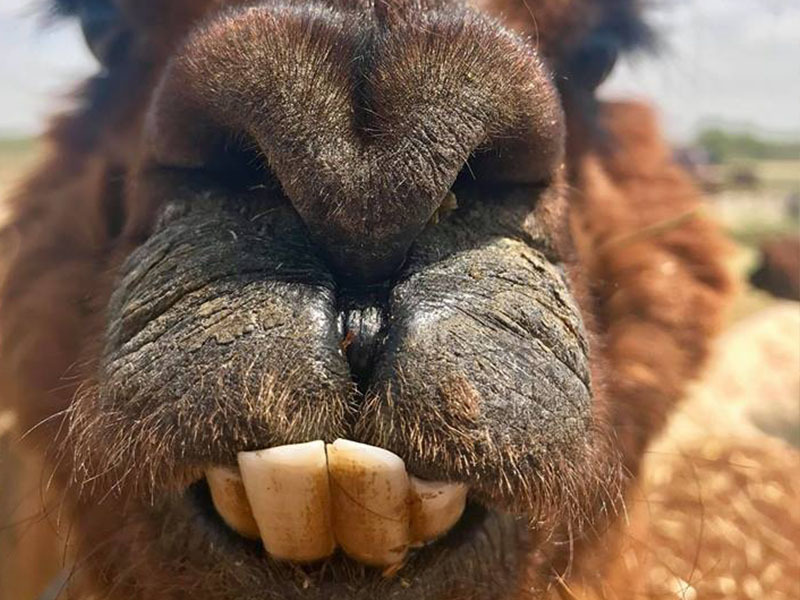 Cows, sheep, goats, and alpacas are able to break down grasses with their lower teeth and their “dental pad.” This pad makes up a stiff surface on top of their mouths. It lets them clip grasses into their mouths with efficiency. Imagine how hard it would be to clip grass with human teeth! By mashing food between their bottom incisors and dental pad, ruminants create a mushy consistency with their food. 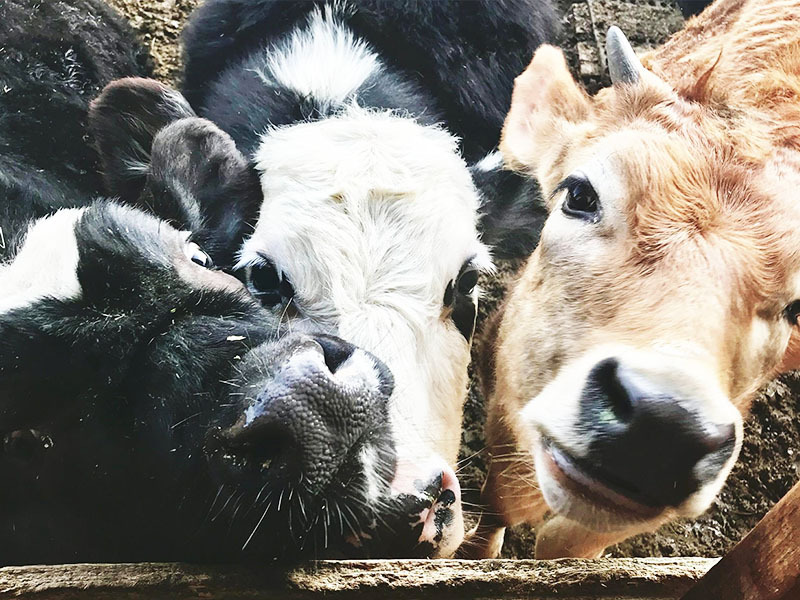 The food then moves into their first stomach, which is called the “rumen.” After moving through their other stomachs, the animal absorbs the nutrients for energy. Because cows, sheep, and goats are constantly grazing and chewing, their teeth naturally wear down. This is important because ruminant’s teeth never stop growing! It makes sense that farm animals teeth continue to grow. Unlike us, they graze all day long. Their constantly-growing teeth and grazing habits work together to give them a healthy mouth and diet. Andrea, the animal sanctuary owner we spoke to, also rescued two alpacas. They hadn’t been fed properly in years. 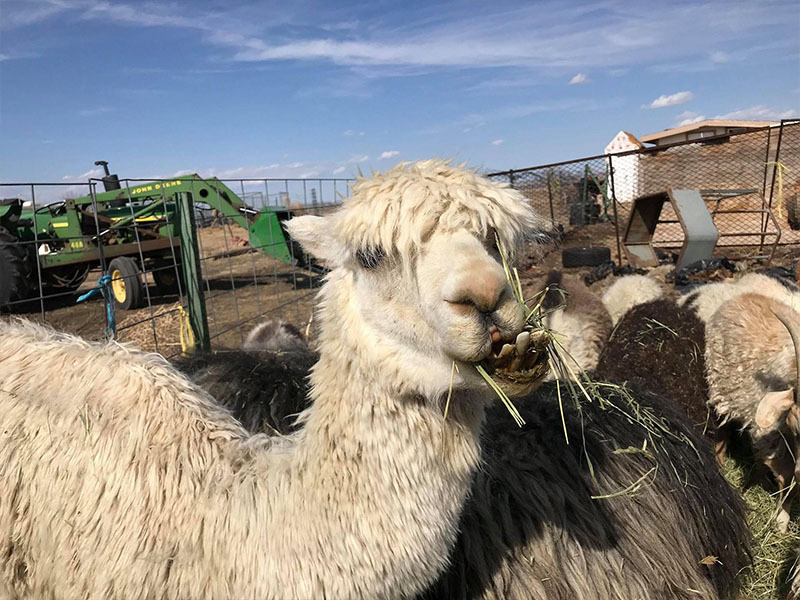 Because alpaca’s (and all ruminant’s) health depends on what they eat, these alpacas had a problem. They weren’t being fed, meaning they weren’t doing their normal chewing. As a result, their teeth were growing without wearing down. When Andrea rescued them, their teeth had grown so long that they came out of their mouth and poked them in their sweet, little noses! Though this is not dangerous to the alpacas, it can be uncomfortable and looks quite alarming. The alpacas are now healthy enough to get oral surgery after a month of thoughtful care. 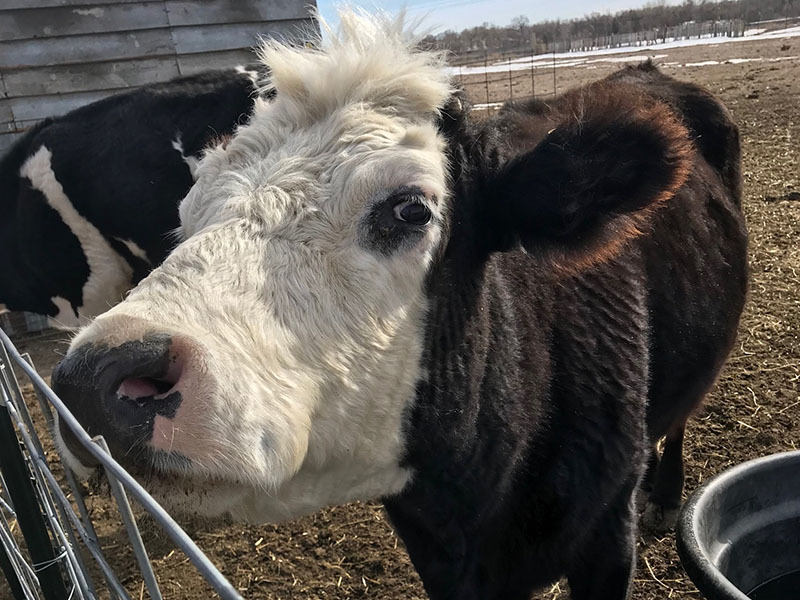 Since they have proper food and care at the sanctuary, the issue shouldn’t come back. Natural selection and traditional farms make it difficult for farm animals to grow old. If they do get to be 7, 8, or 9 years of age, they sometimes need a little extra help to care for their teeth. When floating, a vet will use a file or clipper to remove pointed edges and uneven points. These can make it uncomfortable or difficult for the animal to chew. This process may sound excruciating, but they don’t have nerves in their teeth like we do. It’s like going to the nail salon for them! For the most part, farm animals are herbivores. This has caused them to develop a different mouth structure and digestion system than humans. 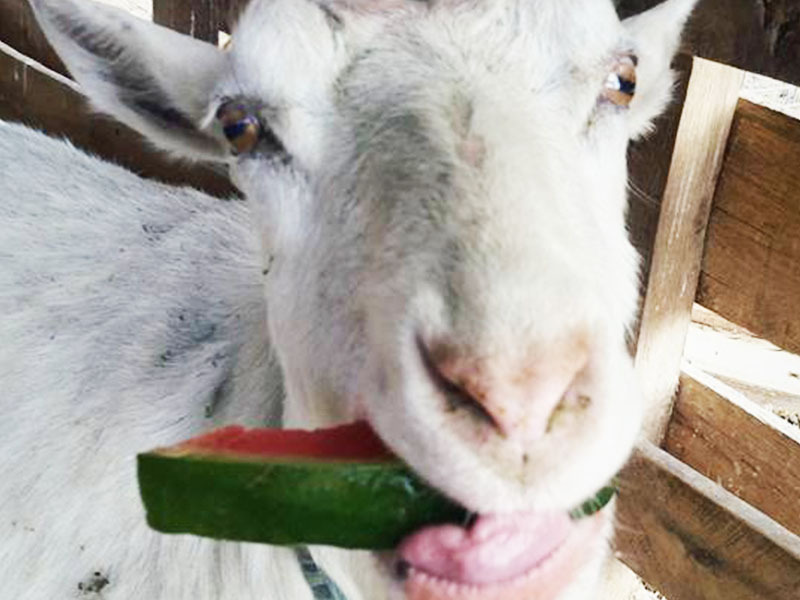 Since farm animals don’t eat meat, they don’t worry about gingivitis and gum disease like we do.